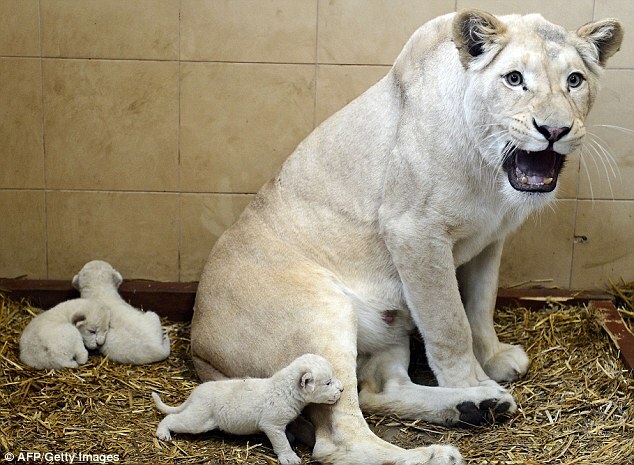 Pictured at just two days old, these three gorgeous white lion cubs are already proving quite a handful for their doting mother. 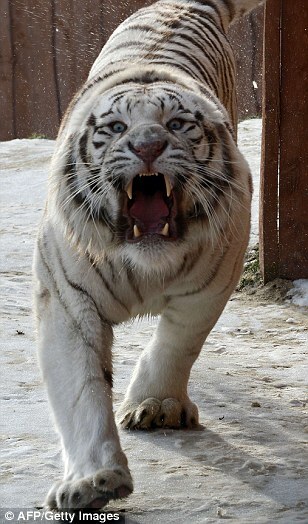 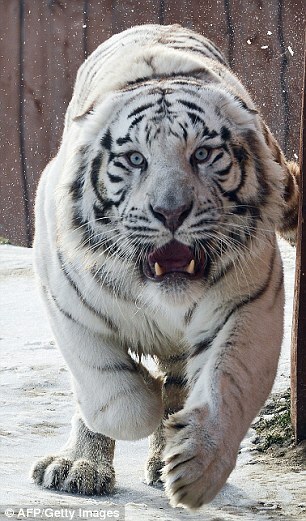 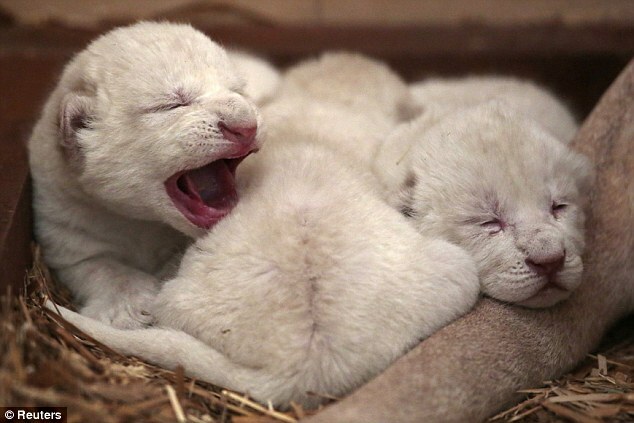 The playful youngsters were barely able to open their eyes, but were already busy exploring their enclosure at the privately-owned Zoo Safari in Borysewo, central Poland. 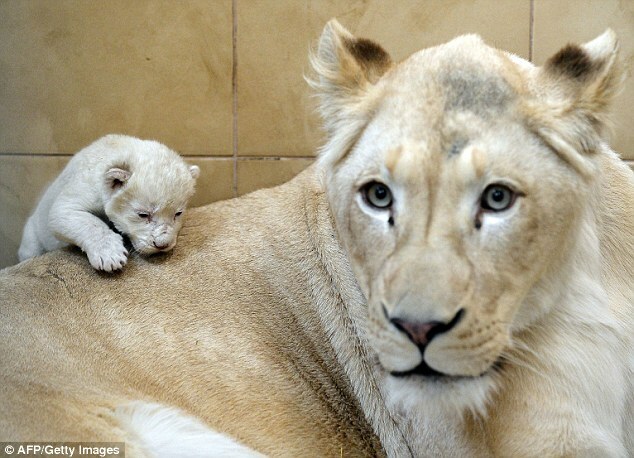 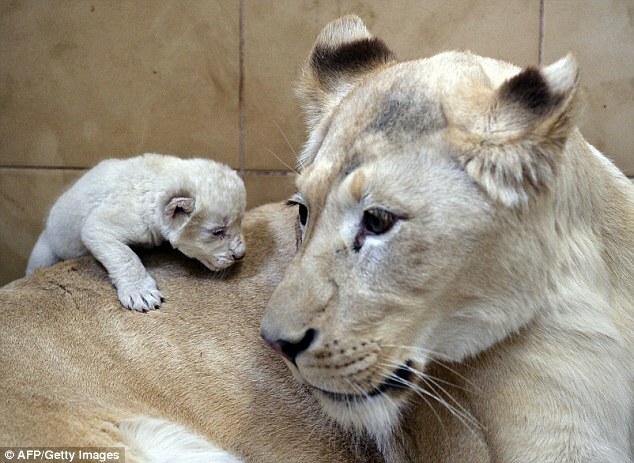 Their mother, the white lioness Azira, certainly looked like she had her paws full as her newborns clambered over her back getting up to all sorts of mischief. 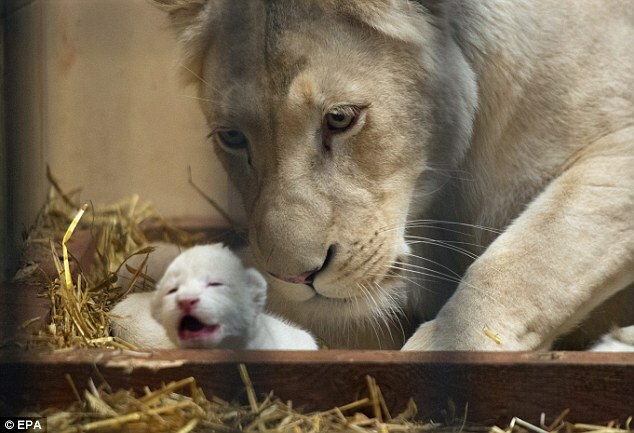 Born on January 28, they are set to become a major attraction at the privately owned zoo as there are believed to be less than fifty white lions in the world. 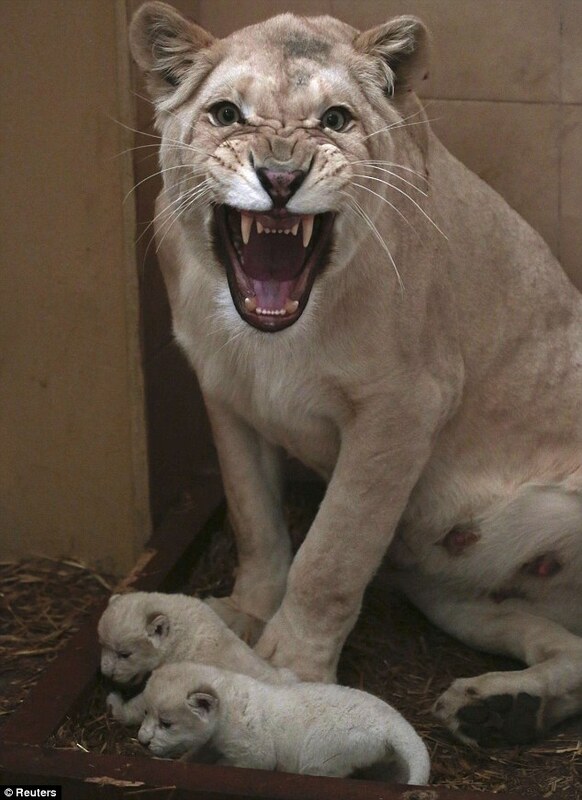 They are regarded as sacred animals by the people of that region, but after Europeans ‘discovered’ them in the 1970s, many were taken from the wild to captive breeding and hunting operations, according to the Global White Lion Protection Trust. 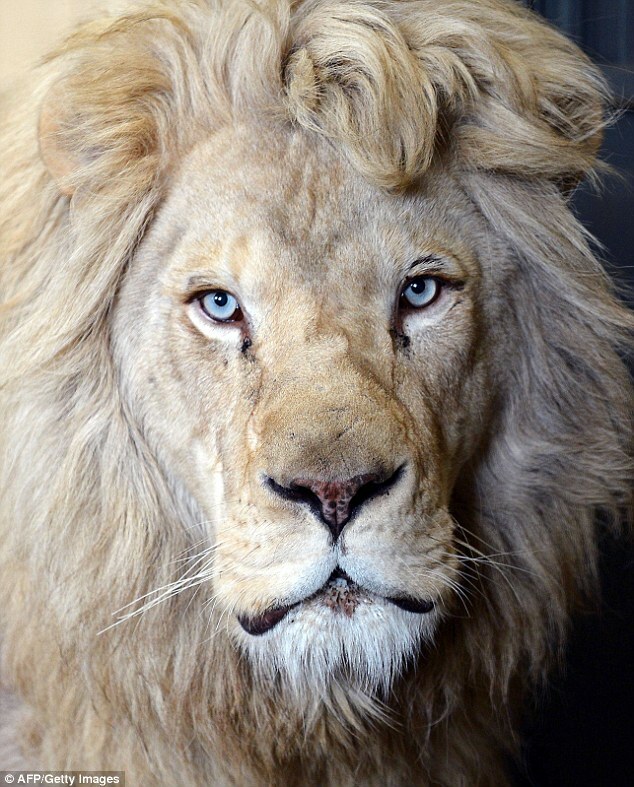 These removals, along with lion culling and trophy hunting of male lions, depleted the gene pool and the animals have been technically extinct in the wild for the past 12 years. 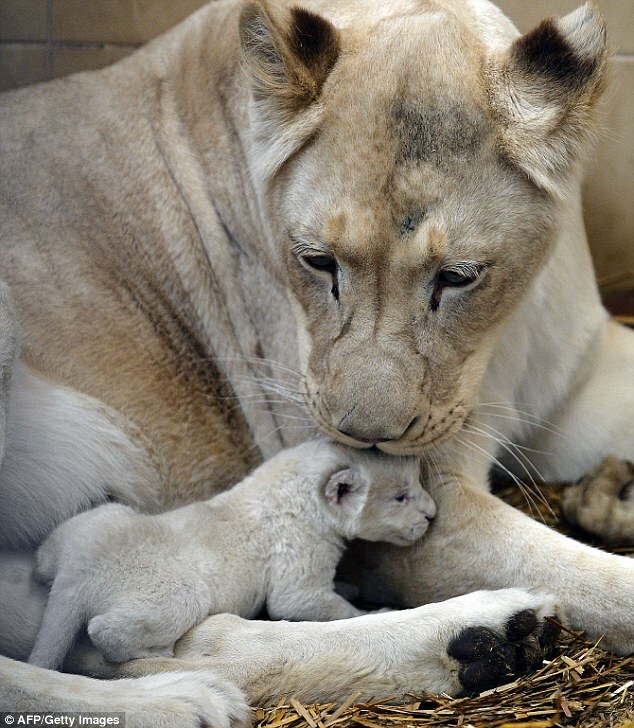 In their natural habitat, white lions are regarded as ‘apex predators’, able to hunt successfully in day and night and take down prey as large as giraffes.